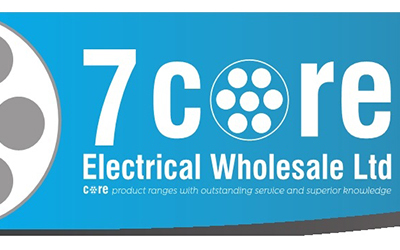 7 Core Electrical Wholesale Ltd is one of the East Midlands leading independent electrical wholesalers selling quality electrical supplies, safety equipment and other maintenance, repair and operations products. We have recently introduced a new bespoke lighting design service, this is proving to be invaluable and has already produced some great win win’s for both 7 Core Electrical and our Contracting partners. With over 50 years’ experience in the industry providing our customers with competitive pricing and unrivalled customer service it is no surprise we were awarded the ‘Wholesaler Group of the Year’ in 2013 at the Electrical Industry Awards and also finalists in the Electrical Wholesaler 'EW Awards' 2014. We operate from 6 branches locations in Lincoln, Worksop, Skegness, Sleaford, Melton Mowbray and St Neots so it’s likely that there is a branch close to you. We stock an extensive range of products which have been carefully chosen to give our customers the highest quality at the best possible prices. We believe in offering each of our customers the same superior service and value for money regardless of size.